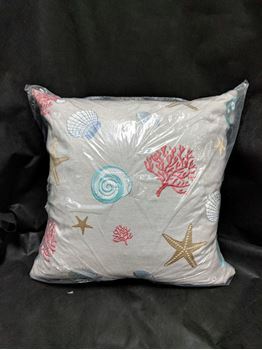 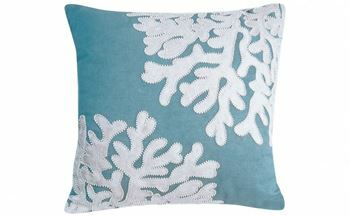 Beachcomber Pillow Multi Colored 24" x 24"
Beaded Linen Coral Motif-Cottage Blue 18"x 18"
This indoor cotton pillow features delicate beading around a white sea coral appliqué. 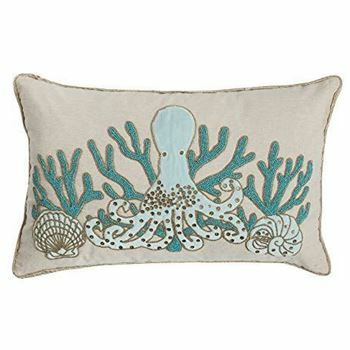 Blue Coral Pillow 18" x 18"
Blue Octopus Beaded Pillow 14"x22"
A cotton pillow hand beaded with with glass beads. 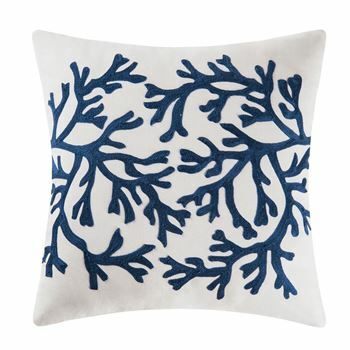 Features a corded edge. 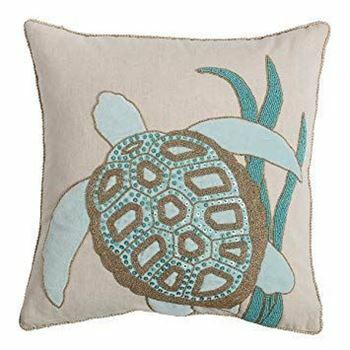 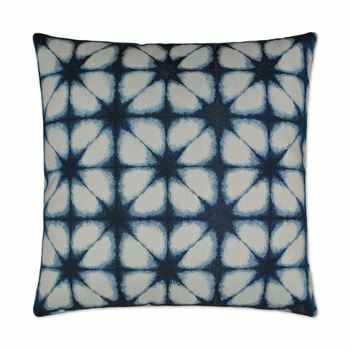 Blue Sea Turtle Beaded Pillow 18"x 18"